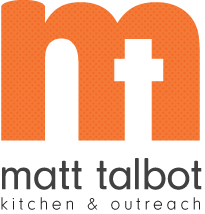 Matt Talbot Kitchen & Outreach Increases Goal for "Souper Bowl of Caring"
LINCOLN, NE - Due to current economic conditions, the demand for services provided by Matt Talbot Kitchen & Outreach (MTKO) has increased significantly over the past year. To help provide for this increasing need, the local faith-based hunger relief and outreach program is hoping to gather more donations than last year for the national Souper Bowl of Caring event, Feb. 7, 2010. The Souper Bowl of Caring mobilizes congregations, schools, and businesses to positively impact their communities by collecting money or food on or near Super Bowl weekend. All collections are donated directly to the charity of choice. MTKO has participated in the Souper Bowl of Caring for over 10 years. "The Souper Bowl of Caring has always been an inspiring event for Matt Talbot Kitchen & Outreach," said MTKO Executive Director Susanne Blue. "The support of Lincoln and surrounding communities is especially important this year as we are being asked to provide more meals and services than ever before, and we are preparing to move to a new facility this Spring. On Super Bowl Sunday there will be food and fun for those watching the game. There will also be people struggling to feed themselves and their families. Matt Talbot is here for those individuals and families who are struggling every day of the year." In 2009, Matt Talbot served 107,272 nutritious meals (up from 105,702 in 2008) and provided 17,316 outreach and homeless prevention services (up from 14,784 in 2008). Outreach and prevention services entail Life Skills Training, Transitional Housing, Case Management, Health Outreach, Nutrition Counseling, Vision Care, and assistance with a wide array of basic and emergency needs. Matt Talbot coordinates one of the largest volunteer efforts in Lincoln with nearly 800 volunteers serving each month and well over 2,000 individuals serving every year. During last year's Souper Bowl of Caring, MTKO collected over $16,000 through donations from supporters including area churches. This year, to provide for the increased need for services, MTKO is hoping to collect $18,000. Donations will be collected after church services throughout Lincoln and the surrounding area on Super Bowl Sunday, Feb. 7. For more information about the Souper Bowl of Caring and how you can make a donation to benefit Matt Talbot Kitchen & Outreach, please call Development Specialists Dana Govaerts or Susie Wilson at (402) 477-4116 or visit www.mtkserves.org.